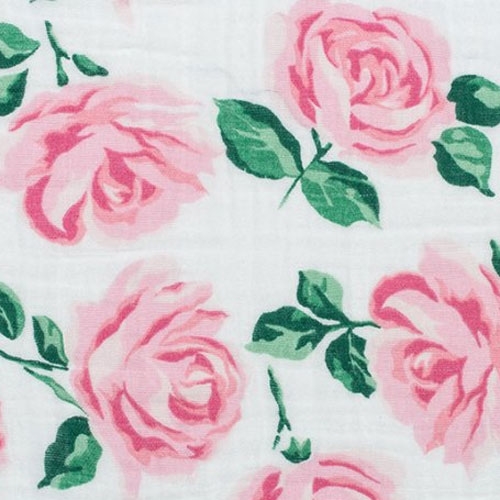 Change your baby's diaper in style with our muslin changing pad cover, featuring a sweet pink rose pattern. Our changing pad covers fit contoured changing pads. Elastic trim around edges make for a secure and snug fit on your changing pad. Order a second changing pad cover for backup. Floral Changing Pad Cover Dimensions: 17" wide by 35" long. Coordinate with our Pink Garden Crib Collection.